The loss of personal data, the potential leak of credit card data, the lack of security and seemingly slow response from Sony has gamers, developers and privacy experts alike all calling for blood. There's talk of developers abandoning Sony's platform entirely due to losing a lot of revenue and retailers aren't exactly making a case for consumers to stick with the PS3 as opposed to the competition. Factor in that the Xperia Play doesn't seem to be shifting games and things are looking pretty bad for Sony. Is this the end of the PS3? Can Sony recover from this any time soon, if at all? Well, if any company can come back from the brink, it's Sony - and history will show you why. In order to see why Sony can easily turn the tide of negativity, you only have to look back in time a couple of years. 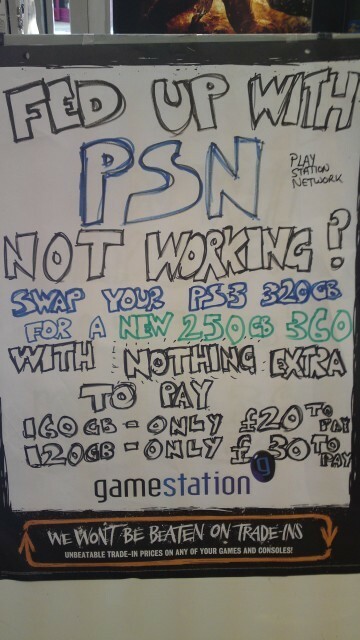 The PlayStation 3 has not had an easy life. Way back when it was announced in 2005, it came under fire almost immediately. The 2005 E3 expo didn't have a single playable PS3 console. There were some great tech demos, but it was all running on developer kit. Sony can be forgiven for this, though, it was early days and there would be plenty of time for demos later. This isn't what got people riled up, although one could argue that if there was a playable console it would be different, as then people would actually get to use the thing that they immediately decided to hate - the controller.